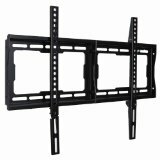 This TV bracket is for wall mounting flat screen TVs between 17 and 37.5 inches. 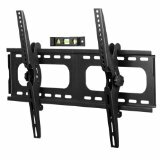 It is a universal TV bracket and designed to fit all major models and makes of LCD, LED and Plasma style flat screens. 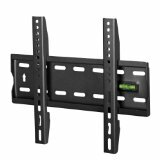 This TV bracket is compliant with VESA standards, and has max VESA dimensions 300(W)x300(H). 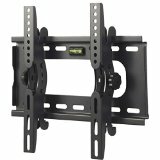 Please measure your TVs VESA mounting holes, screen size and weight before purchasing to ensure proper fit. 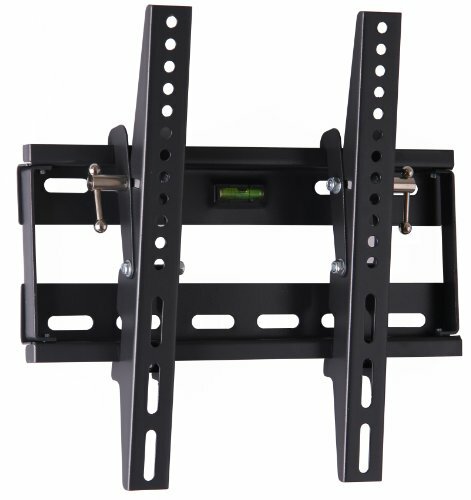 This TV bracket boasts a unique tilting mechanism which can be used to angle the TV down by 15° to ensure you have the perfect viewing angle. The TV bracket can then be locked in place. 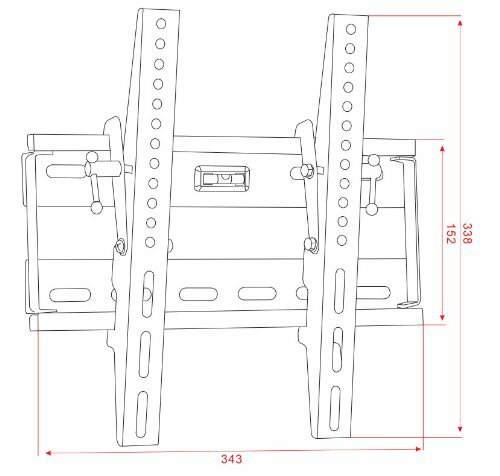 The TV bracket also comes complete with a handy spirit level fitted to the wall plate which ensures it is fitted perfectly level. 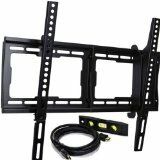 The TV bracket comes complete with all of the fixings required to install it. This TV bracket is very strong and is weight rated to hold up to 75KG! 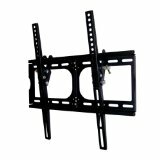 The TV bracket is constructed for reinforced heavy gauge cold rolled steel. 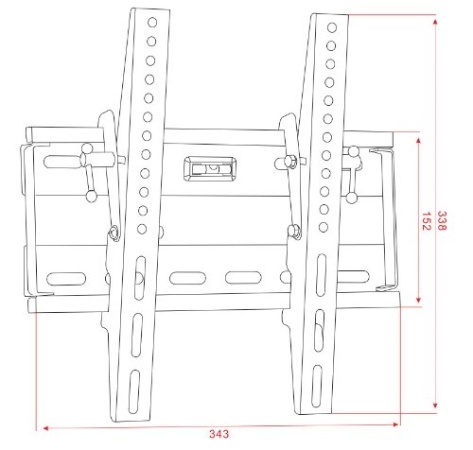 The back plate features a number of large cut outs to mount over plug sockets and ariel plates. 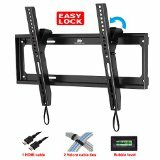 This TV bracket comes complete with full instructions and free fitting hardware. 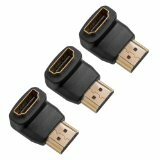 Dimensions: (W) 13.6" x (H) 13.4" x (D) 1.6"
TV distance from wall: 2"